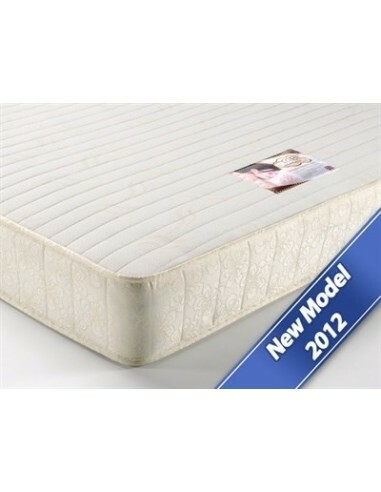 No in stock retailers were found for Snuggle Memory Luxe Double Mattress. You can always have a look around our website to find alternative mattresses. The average lowest price for the last 30 days was £169.00. With the lowest price over the last 30 days being £169.00. Prices were last updated on Saturday, April 20, 2019*. This is the Memory Luxe from one of our best selling double mattress manufacturers, Snuggle Beds. Despite its unbelievably low price, this is a very high quality piece. With 2.5cm of sumptuous memory foam, a 13.5 gauge coil spring unit and a gorgeous Soft Touch Stretch Cover. Memory foam is a luxury filling that uses heat to mould to the contours of your body. Because of its ingenious properties, it relieves pressure points and provides superior support in key areas of your body. The Soft Touch Stretch micro quilted cover has a truly smooth feel for extra comfort Coil springs provide a sturdy, supportive and comfortable base without costing a fortune. The base has a steel rod edge to prevent roll off and to boost the double mattress structural rigidity. This double mattress is a great opportunity for anyone who has a lower budget, but doesn't want to compromise on comfort.